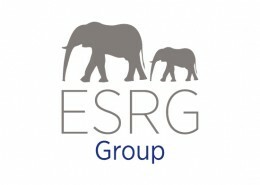 South African sports website, Sport 24 has reported that France’s professional rugby players have demanded independent doctors be employed to “cut the cord” with their clubs amid fears their health and careers are being put at risk.In a sport where revenues are booming, players are worried they are risking serious long-term injury with club doctors sometimes bowing to the hierarchy.”The players are worried, asking questions about their health, the frantic pace, the rate,” explained Montpellier’s Cameroonian lock Robins Tchale-Watchou.”All that means an increase in injuries,” said Tchale-Watchou, who is president of the Professional Players’ Union Provale. “We had stories from players like (Abdel) Boutaty (of Pau) who talk of their battle with injury. They have trouble coming back, the desire is there but the body doesn’t follow. According to Tchale-Watchou, the number of players who have lost their professional rugby licence because of injury has almost tripled in eight years. He said Provale were looking for a panel of independent doctors — not paid for by the clubs — to judge the seriousness of injuries and the duration for which players will be sidelined. Tchale-Watchou said: “Club doctors agree that if they want to practise medicine as they want there is at times a conflict between their recommendations and club requirements. “We must therefore cut the cord, this hierarchal relationship between the doctor and the employer. “We’re going to try to propose this year (a list) of referring physicians for all the different injuries. The Cameroonian player added that progress had been made with the National Rugby League (LNR). “Through the players’ questions, the LNR president (Paul Goze) really realised that the lack of binding regulations leaves a kind of vacuum and gives rise to a series of bad practices. The Rugby Paper has interviewed Nottingham legend, Dave Jackson who reckons it is high time Championship professionals were properly represented by the Rugby Players’ Association. 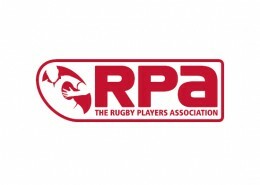 While Premiership players receive a full range of services from the RPA, who last month signed a new £7m, five-year funding deal with Premiership Rugby and the RFU, the Championship’s estimated 350 professionals have little assistance in respect of contractual advice, terminations, player development and post-retirement welfare. Tier two players earn a pittance by comparison with the Premiership and Jackson, who was forced to quit the game through concussion in 2013, believes the RFU and RPA are failing in their duty of care to a large group of players. Jackson told The Rugby Paper: “The Championship has been a full-time league for many years now and just because guys aren’t at the top level, it doesn’t mean they don’t need the same representation and help with their careers. “Once rugby becomes your full-time job, the same issues arise whether you’re getting loads of money or not – and wages in the Championship are the same as the national average, sometimes less, so there’s little or no security there. RPA boss Damian Hopley agrees Championship players deserve representation, but insists there are no resources at his disposal. He believes there are wider issues in respect of the second tier, telling The Rugby Paper: “We’re having discussions with the RFU and now we’ve locked off our funding deal with the Premiership clubs, what we want to look at is where the Championship fits in with the overall strategy for professional English rugby. Hopley added: “The Championship has an incredibly valuable role to play, whether that’s players graduating to the Premiership and on to England, players on loan or players coming back down from Premiership clubs. New Year’s Day was the official start point for Premiership clubs to be permitted to approach rival teams’ players who are out of contract this summer – a time to plug gaps in a squad for next season and for uncomfortable conversations as coaches tell unwanted players they need to find a new employer. 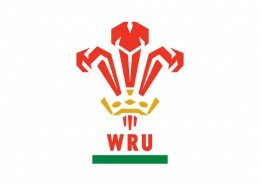 A vibrant, well-regulated transfer market has the potential to increase interest in the game, with excited conjecture over the movement and pay deals of star players such as the Wales full-back Leigh Halfpenny. But there are worries that this will damage rugby’s ethos of loyalty and teamship, while Conor O’Shea of Harlequins is among the directors of rugby who see two specific threats to keep a watchful eye on. The first, according to O’Shea, is the possibility of rugby’s increasing broadcast and commercial revenues encouraging agents to sow seeds of unrest among players. 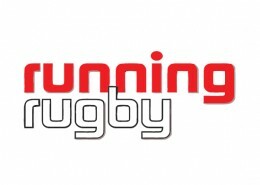 Most of the current season’s transfer dealings were done to coincide with the completion of the World Cup in October, when 50 top international players found new clubs in the Premiership, Pro12 and Top 14 – led, wages-wise, by Dan Carter on a reputed £700,000 a year at Racing 92 in Paris. Between now and June the activity will re-intensify. 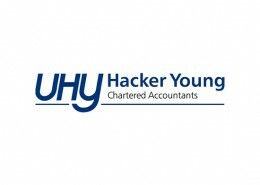 The Rugby Football Union’s list of registered agents numbers between 80 and 100, but just five agencies look after more than half the Premiership’s players between them. The Halfpenny saga appears to have been resolved with the goal-kicking genius choosing to stay at Toulon. But he could have moved to Wasps on £700,000, and the capture of these “stardust” players, as London Irish’s head of operations Glenn Delaney calls them, generates fear of a split between haves and have-nots. Each Premiership club is allowed two “excluded players” whose wages do not count towards the salary cap. The cap has shot up from £4m in 2010, so that in the 2017-18 season it will be roughly £9m for a club laden with international players. The base level by then will be £7m plus the excluded players (possibly 2 x £400,000), credits for players unavailable while on international duty (up to £80,000 per player) and injury cover up to £400,000. This hike has been driven by clubs with wealthy owners and healthy off-field operations, and is justified, its proponents say, by two factors. One is the money the clubs are paid for releasing their England players by the RFU, whose own revenues are rising on the back of increased Twickenham ticket prices. The second is the Premiership’s broadcast deal with BT that was renewed last March up to 2021. The severest angst of late was expressed at Leicester, who re-signed their England backs Manu Tuilagi and Ben Youngs, but only after intense press speculation touting moves to rival clubs Wasps (with their new money in Coventry), Worcester and Bath. “Obscene” was how Leicester’s director of rugby Richard Cockerill described the supposed offers to Tuilagi, whose reported new deal of £425,000 a year edged him ahead of John Afoa, the Gloucester and All Blacks prop routinely quoted as the Premiership’s highest-paid player on around £400,000 when he signed in 2014. The Premiership’s most sought-after players tend to be tightheads like Afoa and fly-halves with a good kicking percentage. Nick Evans gave up his All Black career for a reported £250,000 a year on joining Harlequins in 2008, and the club would say the now 35-year-old No 10 has given value for money. At the other end of the scale, a common-or-garden squad wing may be on a middling five-figure salary. England stars are well remunerated. A regular Red Rose player will command more than £300,000 with his club, plus fees and bonuses of £150,000-£200,000 depending on Test results, and individual commercial revenue of £100,000 or more. At the moment, southern hemisphere stars remain less likely to head to England than to France because the TV deal there is bigger, and clubs have heavier-hitting sponsors. But Wales’s Taulupe Faletau and France’s Louis Picamoles will join Bath and Northampton respectively next season, and Springboks Francois Louw, Jean de Villiers and Victor Matfield are already in the Premiership. The balance is shifting. The Daily Mail has reported that a wages war has been started in the Aviva Premiership: Clubs fear Manu Tuilagi’s high-stakes contract negotiations following the salary cap hike will spark a wages war, with an elite group of international stars creaming off clubs’ budgets while other earnings flat-line. Premier Rugby chief executive Mark McCafferty outlined new measures in October — with the salary cap set to increase by £1.5million over the next two seasons — aimed at preventing English clubs losing out to richer French and Japanese outfits. With the average Premiership player salary still below £100,000, the news that England centre Tuilagi has finally agreed to stay at Leicester following an ‘obscene’ offer from Worcester — worth more than £1.5m over three years — has drawn the curtain on one of the richest deals in professional rugby union history. Tuilagi, whose deal to stay at Leicester is understood to be worth more than £400,000 a year, can still lay claim to being among the Premiership’s biggest ever earners, after Sam Burgess’s brief spell at Bath netted him more than £600,000 during a 10-month stay. With the recent World Cup and additional international fixtures crowbarred into an already packed schedule, Premiership directors want to use some of the extra funding to bolster their squads with additional players so that they can rest overstretched top stars. But Wasps director of rugby Dai Young, who is keen to bring in Wales and British Lions star Leigh Halfpenny and retain out-of-contract James Haskell following heavy investment from businessman Derek Richardson, said: “When the salary cap goes up it always seems to swell the market. The same players want more money. The reality, which we really have to fight against, is that the salary cap has gone up for the last few years but squad sizes have stayed the same so more money is going to the same players. The increase in the cap from next season will take the richest clubs’ potential wage bill close to £10m with provision for two marquee players outside the cap. And there is additional funding: homegrown players credits, set to rise to £600,000 over the next two seasons; a new England senior player allowance of up to £80,000 per person to cover absence through international duty on Premiership weekends; and a £400,000 fund to cover long-term injuries. 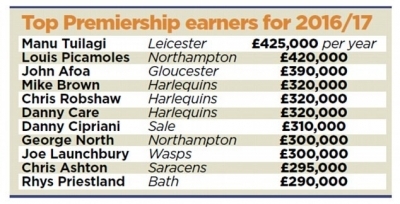 The Mail also published the table below suggesting who the Premiership’s top earners may be next season (see above). Read the full article here…..
Cardiff Blues are to run a much smaller but higher quality squad and end their policy of providing players free to charge to Pontypridd and Cardiff RFC, according to Wales Online. 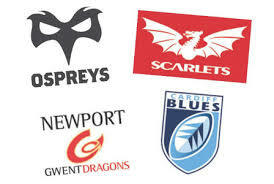 The Arms Park-based region currently employ no fewer than 65 players at senior and academy level. They plan to cut that figure back drastically for next season, by having 38-40 senior players, supported by a group of academy youngsters. At present, a number of Blues employees play the bulk of their rugby at Premiership level with Ponty or Cardiff. But that will now change, with head coach Danny Wilson implementing a major shake-up. “We want less quantity, more quality,” explained chief executive Richard Holland. “Danny has identified that we have got too many players in the system. Historically, we have been servicing the two Premiership clubs in Pontypridd and Cardiff RFC. “Danny has come and had a review of the whole environment and what we are going to be doing from next season onwards is trimming down the professional playing squad to 38-40 players to ensure those players are of quality and get the coaching attention they require. “We will continue with an Academy and some of the senior Academy players will form part of that 38-40 playing squad. A new professional club rugby league in the United States is set to become a reality with the action getting underway as early as April 2016. PRO Rugby, the organisation behind the new league, has revealed that the competition will initially be contested by six teams from “major metropolitan areas in the north-east, the Rocky Mountains and California” and each will play 10 fixtures between April and July. Canadian teams are also set to join the league in 2017 and, while the first six teams are yet to be confirmed, Sacramento, San Francisco, Denver and Philadelphia have all been mentioned. Other details such as broadcast plans and sponsors also remain unclear but the competition has been sanctioned by USA Rugby and World Rugby and USA Rugby chairman Bob Latham says the time is right to launch the league.  “As the fastest growing team sport in the USA, it is the time to have a sanctioned professional competition,” he said. A similar league in the form of the National Rugby Football League was founded in 2014 and was due to be launched with a match against Leicester Tigers in August of this year but it was scrapped after it failed to apply for USA Rugby sanctioning. 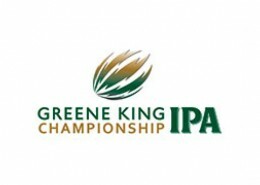 A Premiership club is now heading to the States to play a regular season game though after London Irish announced recently that they are taking their fixture against Saracens on March 12 to New York. Wales Online has reported that the Welsh Regions (Scarlets, Ospreys, Cardiff Blues and Dragons) will have greater spending power next season after agreeing to raise their salary cap by £1m each. Wales’ four regions have agreed to increase their wage cap from £3.5m to £4.5m per team. The £3.5m cap was self-imposed by the regions back in 2011 in response to the difficult economic climate at the time. It was felt that belts had to be tightened and wage bills reduced, which inevitably made it harder to hold on to star players. But now the financial situation is much improved and the regions have mutually agreed to raise the spending limit by a £1m per team. This is because of the new European deal and the new funding arrangement with the WRU which was put in place following Welsh rugby’s civil war. As part of the new Rugby Services Agreement, national dual contracts were introduced and 16 players have now been signed up. Under the NDCs, the WRU pays 60 per cent of the players’ wages, which frees up money in the regional budgets to spend on squad strengthening. The Union now has increased financial muscle following their £33m kit deal with Under Armour and a £10m windfall from hosting matches at the World Cup. That means as well as securing home-based players on NDCs they are also able to look at bringing back exiles like Jonathan Davies, Leigh Halfpenny and George North. With more money now coming into the professional game, the regions feel the time is right to increase the wage cap, with the plan being to invest in the whole rugby set-up. They will still be some way below the levels in other countries, with the French cap set at £8.6m and the English one rising to £6.5m from £5.5m next season. The Australian media has reported that the ARU placed a A$300,000 (£138k or €195k) bet with a local corporate bookmaker to collect more than $3 million if the Wallabies win the Rugby World Cup final on Saturday. The ARU and players’ association (RUPA) agreed earlier this year that if the Wallabies won the Webb Ellis Cup, each player would get a $A100,000 (£46k or $65k) bonus on top of their annual salary and match payments. With 33 players used at this tournament, the cash-strapped union made the bet to help cover the costs of the potential $3.3 million payment (approx. £1.5m. 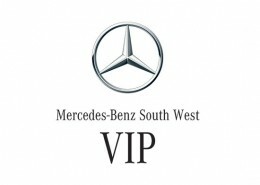 or €2.1m). “We have an arrangement in place with [Rugby Union Players Association] around player bonuses for the Rugby World Cup, the details of which are in commercial confidence,” an ARU spokesman told the Sydney Morning Herald. The ARU has avoided any violation as the bet is deemed an insurance move to minimise losses for any bonus payments to its players. 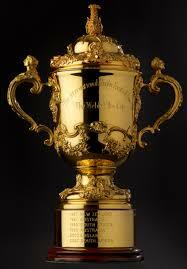 Meanwhile, All Blacks players could each take home a £69k (€98k) bonus for winning Saturday’s final. If Steve Hansen’s men lose the final, their bonus will drop to £16k (€23k) for each player. “Whether Tadhg Furlong or Jamie Heaslip the contract is the same. 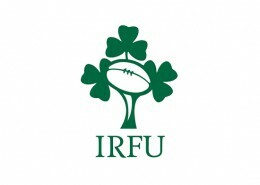 The IRFU pays each Ireland player a basic fee for making the Rugby World Cup 2015 squad (between €30,000 and €40,000 or between £22k and £29k). Irish success would then bring bonus payments, understood to be heavily weighted towards reaching marks that no Ireland team has reached before. Should an injured player have to be replaced they would split monies due with their replacement on a pro-rata basis. If Ireland had won the tournament, the Irish Times understands that the total bonus payable on top of that initial squad fee would have amounted to over €100,000 (£72k) per man. That would have been a €3.1m (£2.2m) bill for the IRFU, a significant financial risk that the union manages via Paddy Power. 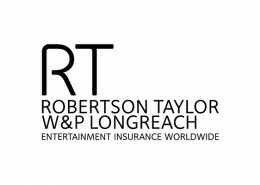 David Lyons is associate director of sports risk management at Paddy Power PLC, which set up Airton Risk in order to “mitigate the financial risk related to the outcome of sporting events”. Premiership Rugby have announced an increase to the salary cap in future whilst at the same time demonstrating how difficult their self-imposed system is to apply. 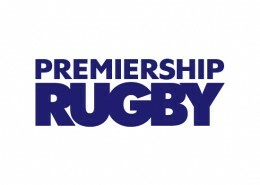 Premiership Rugby has concluded an investigation into alleged salary cap breaches by an unspecified number of clubs but is not revealing any details other than to say no one will be docked any league points or fined because nothing was proved after becoming mired in legal arguments. Speculation in recent months suggested the spending of last season’s Premiership finalists Saracens and Bath was under review, but no names were mentioned and no breaches of the salary cap regulations were discovered. The investigation centred on grey areas, in particular access to information and commercial contracts. Premiership Rugby chief executive Mark McCafferty told The Guardian it was not the case that loopholes had been exploited. “A lot of the speculation had been based on significantly inaccurate information,” he said after a board meeting which agreed to substantially increase the cap from £5.5m this season to £6.5m in 2016-17 and £7m the following year. “There were issues we were pursuing which were potentially in the breach category,” added McCafferty who, bound by a confidentiality clause, was able to speak only in the abstract. “There were substantially different legal opinions and it became less than straightforward. 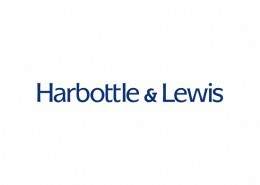 “We are not talking about loopholes but access to information and whether certain commercial contracts should be included in the calculation or not, which is where the differing legal opinion came in. It is not a legal requirement for us to have a salary cap, but one the clubs choose to have to help manage costs. “We have reached a settlement which is a commercial agreement between two parties which does what it says, settles differences. It does not amount to a fine because that implies a sanction and there have been no breaches. I cannot get into the nature of the settlement. 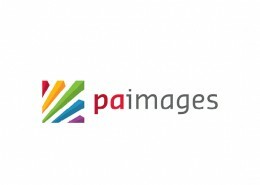 When you get to a point in any commercial relationship where there is a difference of views between two parties, an option is always to settle without one part being right and the other wrong, otherwise you are into a prolonged dispute. We are confident we have resolved the differences and we move on. Since the announcement, the majority of AP clubs have publicly stated that they were not the subject of an enquiry. Bath and Saracens were not among them. • In addition to the base levels, Injury Dispensations up to a maximum of £400k per season continue to be available to each Club. • A new England Senior EPS or International Player Credit in addition to the base level to facilitate squad strengthening, particularly cover for player absence during international periods. 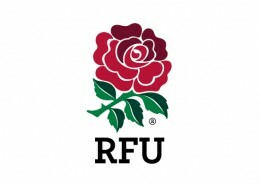 The RFU has updated guidance to assist agents when dealing with minors and age-group players. 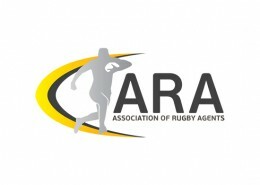 The guidance document (added to the knowledge centre of the ARA site) has been approved by the Agents Review Board (ARB) in consultation with the Association of Rugby Agents (ARA). There are general safeguarding measures that are applicable to all adults coming into contact with children in rugby and specific guidance for agents. Registered agents should be aware that anyone under the age of 18 years of age is regarded as a child, even if the player is on the elite pathway. Agents are advised not to contact players under the age of 18 without going via the parents/guardians. 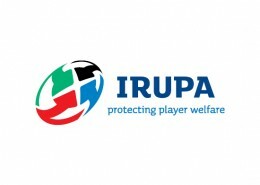 RFU Regulation 8.8.4 which states that “registered agents must not make any offer of contract, provide any letter of intent or offer any inducement to any player under the age of 18 or to any parent, guardian, trustee or other person of such player, except in the case of players aged 16 or more where a contract is offered under which the only material consideration provided to the player is in the form of a non-refundable financial grant to be applied only for the purposes of the player’s academic and/or vocational training for a period of 12 months or longer”. Agents cannot receive direct benefits either. 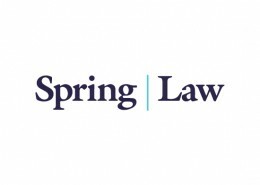 The guidance warns that contracting with a child also has many legal implications and may be voidable if not done correctly.